Walmart is combining the highest value activities from past U.S. Manufacturing Supplier Summits and Open Call events into a two-day dynamic event at our corporate offices on July 7-8, 2015 in Bentonville, Arkansas. 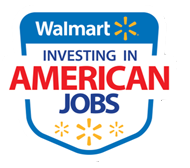 Walmart will offer the unique opportunity to meet with buyers across our formats, as well as facilitate meetings for current and potential suppliers with key state economic development officials with knowledge of available U.S. manufacturing locations. We look forward to sharing our knowledge and helping you form integral relationships to grow your business.